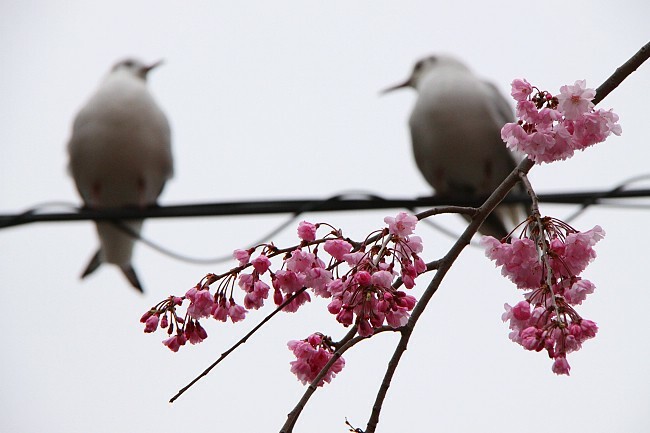 Four days after my last visit, I returned to Tokyo to check out its cherry blossoms. Peak season had arrived at the capital just slightly before this past weekend, earlier than the average year by a whopping 12 days. Views were great today, but could have been even more pleasant had it not been slightly wet and gloomy. 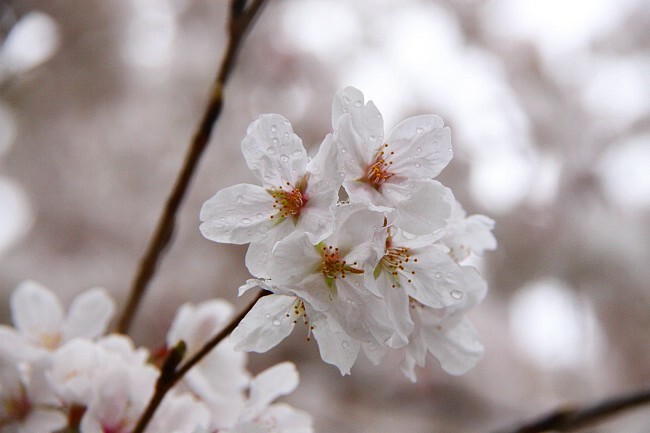 Strong rain and wind adversely affect the lifespan of the fragile sakura (cherry blossoms). Fortunately, it was not pouring today. Although the wind could get slightly stronger tonight, I am optimistic that most petals will remain intact for a few more days at least. 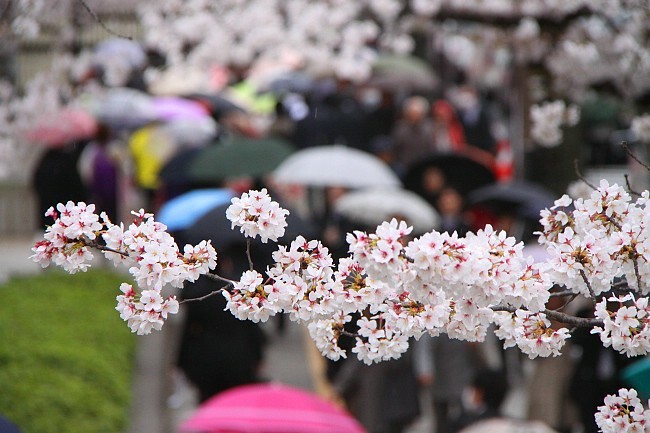 However, weather forecasts have also predicted the likelihood for a wet Thursday, thus I'm afraid that it might be past peak at many locations in Tokyo by the time next weekend arrives. 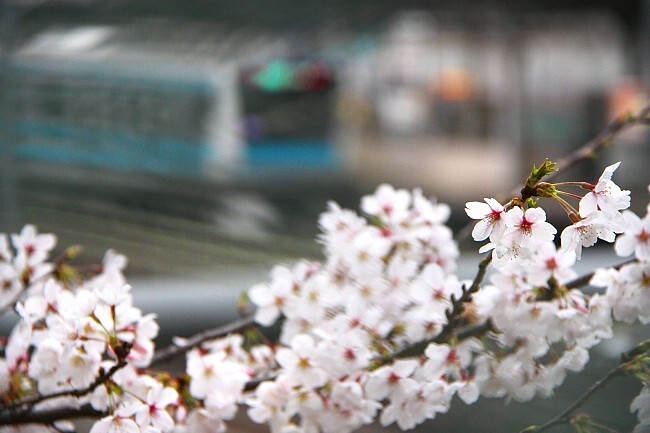 Elsewhere in Osaka and Kyoto, the first cherry blossoms opened on March 21 and March 22 respectively, earlier than what most weather agencies had predicted. 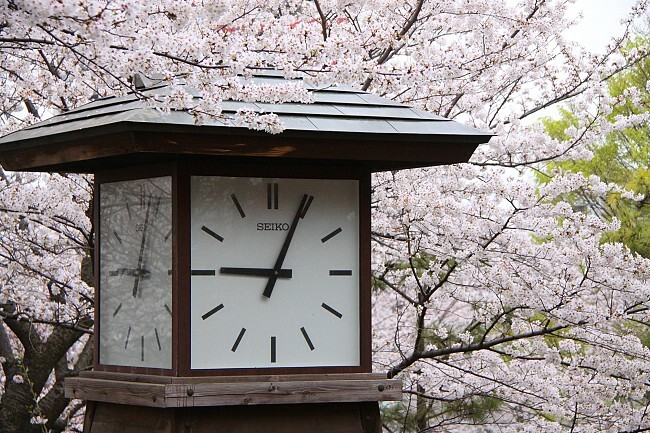 The season started for Nagoya on March 19. I will be visiting these places in the course of the coming week and I expect to catch some fantastic sakura views there. 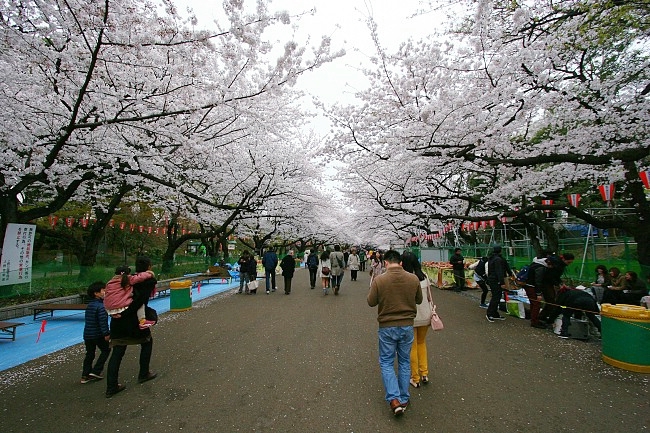 Located next to Oji Station in Tokyo's northern Kita District, Asukayama Park is a popular hanami (cherry blossom watching) spot for families, with ample lawns for picnics and a fun playground for children. Today I found the approximately 650 cherry trees at the park to be at full bloom. The damp weather must have kept away some visitors, but nevertheless it was a nice sight to see the park saturated with pinkish-white. 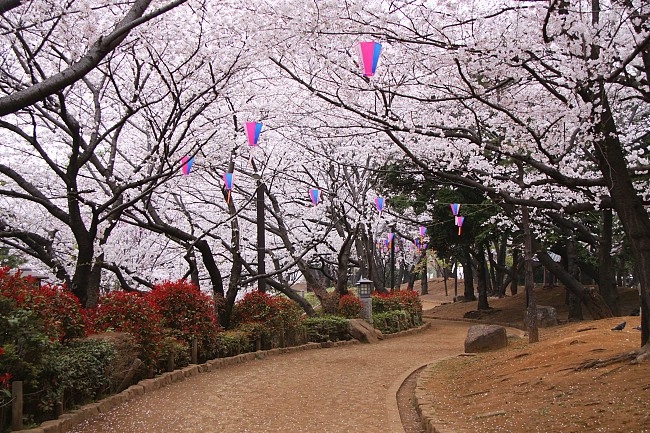 After hosting a hearty weekend hanami crowd, the park returned to a relatively quiet state this slightly moist Monday morning. 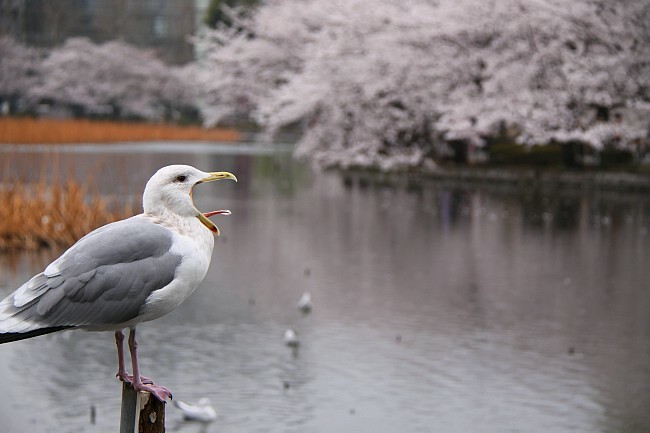 Relatively quiet, by Ueno Park's standards, does not mean empty. 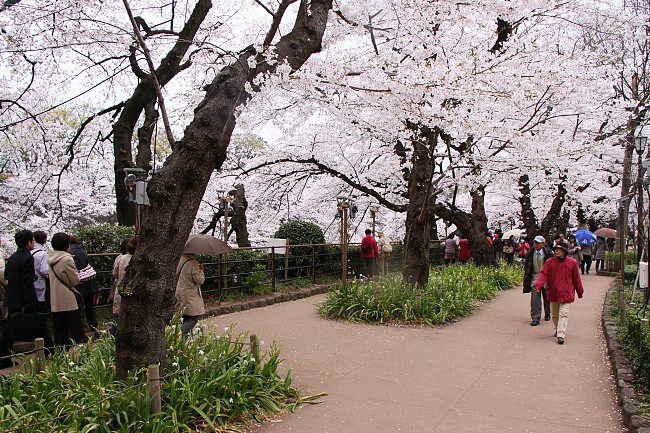 This is after all arguably Tokyo's most famous cherry blossom spot, and a healthy crowd was in attendance to enjoy its many cherry trees in full bloom. 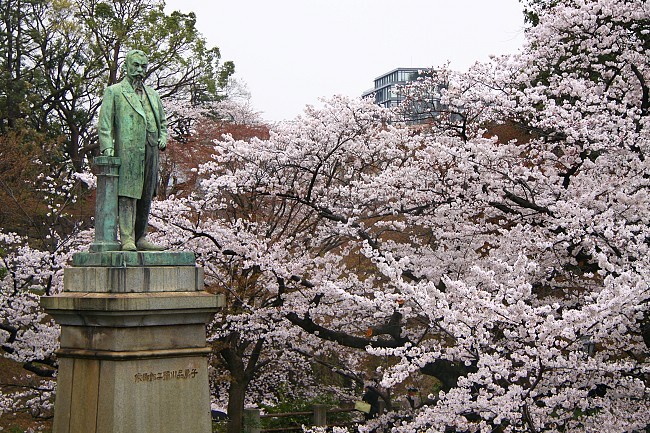 As mentioned earlier, the season at Ueno Park might be slightly shortened by nature's elements, but I think views here will still be gorgeous until Thursday at least, before the flowers start to lose petals in numbers. 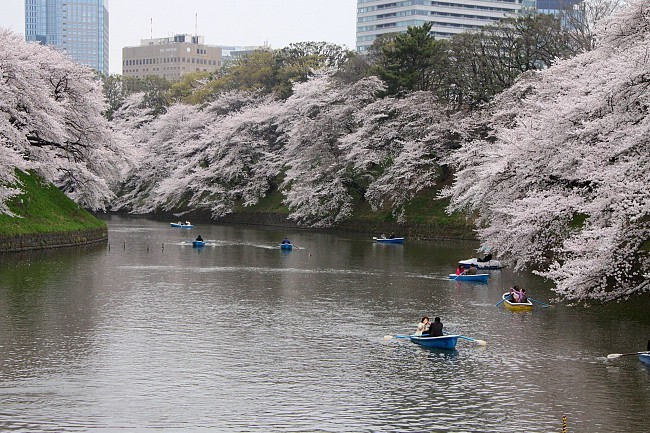 Chidorigafuchi is a moat surrounding the northwestern side of the Tokyo Imperial Palace. 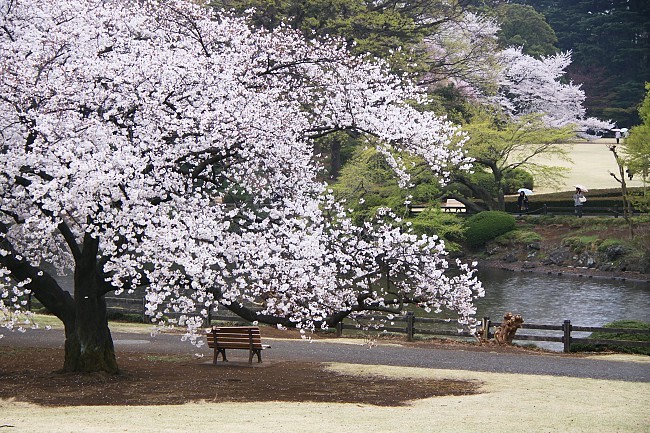 The location offers great views with about a thousand cherry trees lining the banks of the moat. 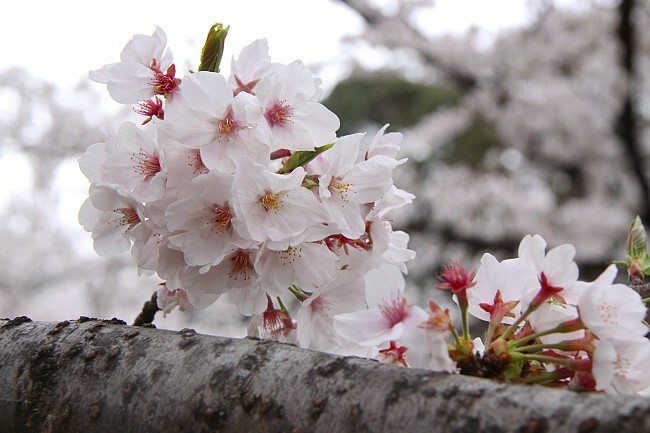 Visitors can enjoy the blossoms either from the strolling path along the outer bank or from the water by rental boat (until April 7, 9:30 to 19:30, 800 yen/30 minutes). Today, Chidorigafuchi was likewise in full bloom and peak period is similarly expected to continue for a few days. To those that arrive slightly past peak season here, fret not, because the moat is well-known for hanafubuki (falling petals fluttering in the wind) - many feel that the moat is even more beautiful with fallen petals filling its waters and falling petals twirling in the air. 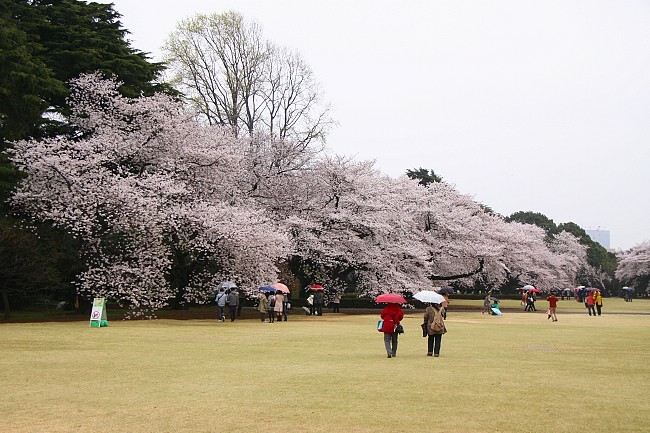 Shinjuku Gyoen is one of our most visited cherry blossom spots because it offers stunning views, and a cherry blossom season lengthened by many early blooming and late blooming cherry tree varieties. The cherry trees at the park today were in full bloom, many with nice sturdy-looking blossoms, suggesting that they have just freshly opened. 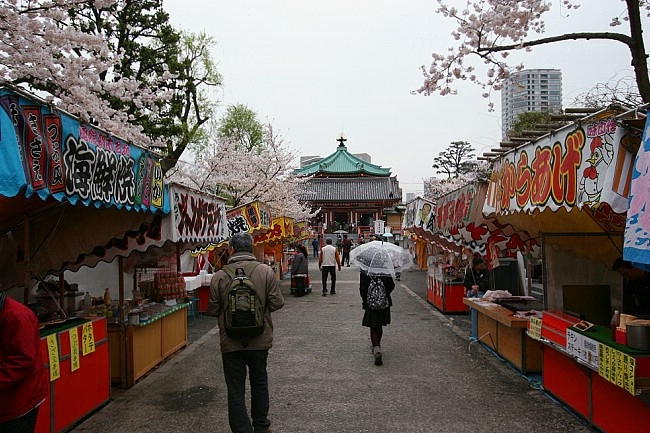 Cherry blossoms here are likely to last a day or two more than those at Ueno Park. 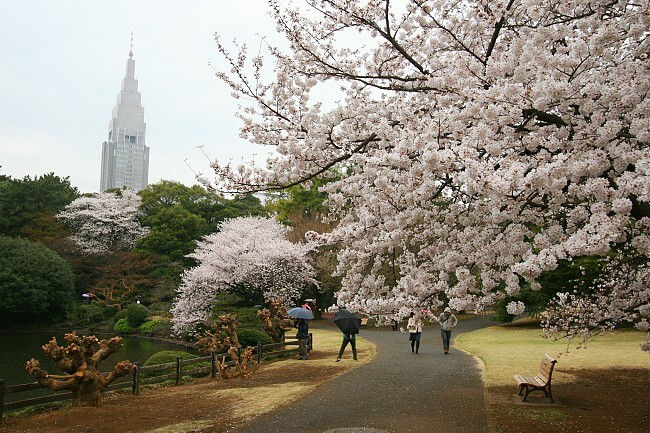 Depending on how the weather turns out to be over the next few days, should it be too late to catch cherry blossom views at other locations in Tokyo next weekend, you might wish to visit Shinjuku Gyoen to check out some late blooming cherry blossom varieties.